The rose has a variety of meanings, and in the tattoo world, is used as a main theme or as a complementary item for the rest of a design. Interestingly, a rose can be an expression of love, as in giving flowers to a loved one, or a sign of death, as in being used to identify or confirm a hit on someone. For whatever reason, roses work with almost any tattoo design, even when it doesn't appear to make sense. That seems to mean people are enamored with roses, and like to include them in tattoo designs that they only know what they mean, as you'll see the various tattoos below. Rose tattoos are usually red, although there are exceptions to that rule. My favorite of those shown hear include presenting the roses as a backdrop to a beautiful, red butterfly. It really looks great. Rather than just offer up the usual red tattoos, which are fantastic to look at, I thought we could look at some rose tattoos which are used in combinations you wouldn't normally think of. 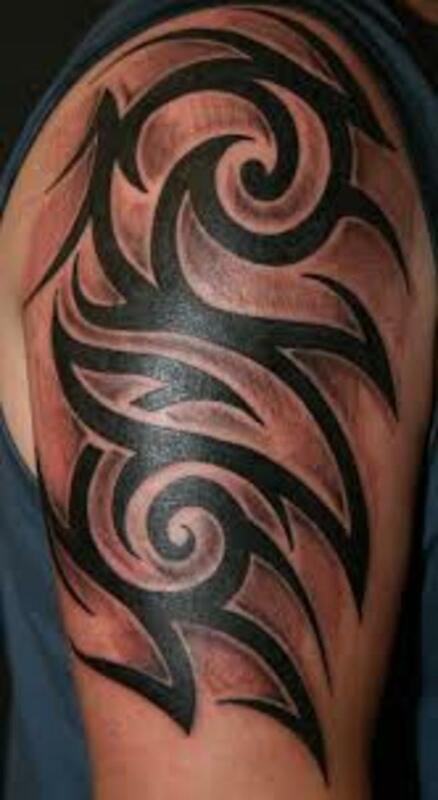 Some, as mentioned, will be the main element in the tattoo design, and others will offer support to another theme. 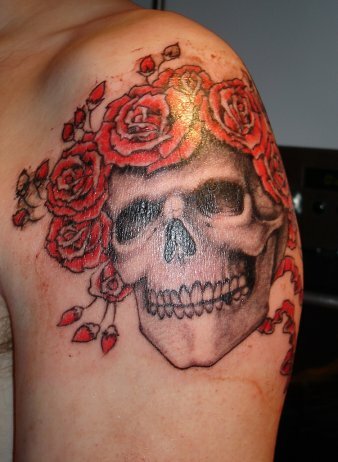 This first tattoo including a rose is one of those that leaves you scratching your head as to the meaning. If I was to guess, it could represent a sailor seeking to show his love to a sweetheart, expressed by the inclusion of the diamond and rose. Write your thoughts in the comment section if you have another idea. The vining, scrolling tattoo of the rose is amazing to me. 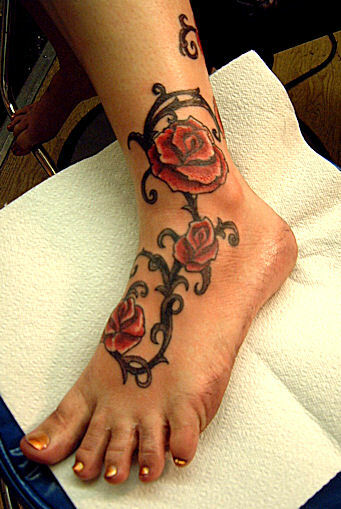 The three roses are nice, but to me the dark vine is what makes this such a magnificent peace of body art. 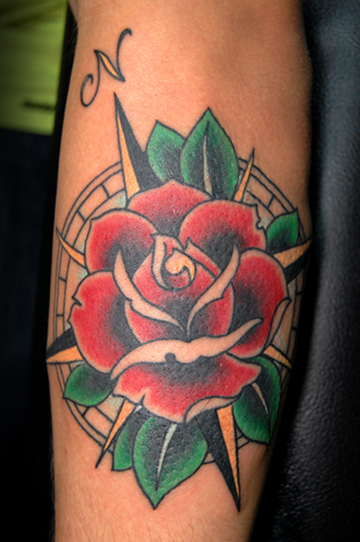 While a compass or rose aren't unusual in and of themselves, it is unusual that the compass is used as a background for the rose to rest on. 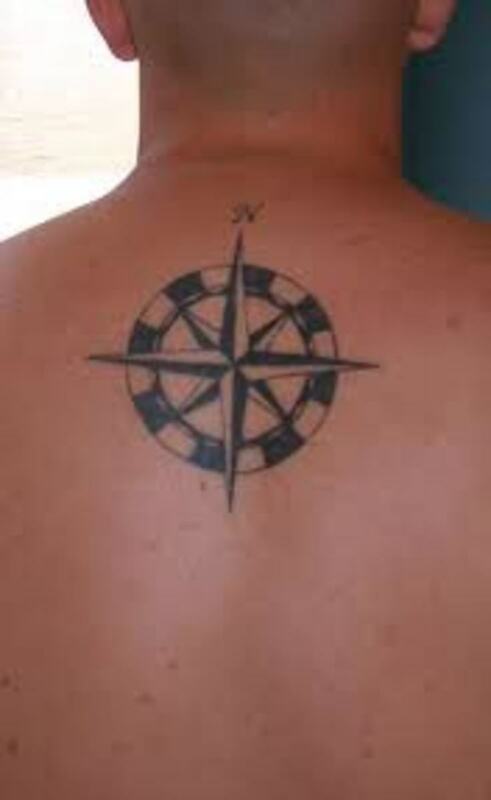 As a compass always pointing to a direction, it could me the bearer of the tattoo is looking for love, or is signalling the relationship is going in the right direction. 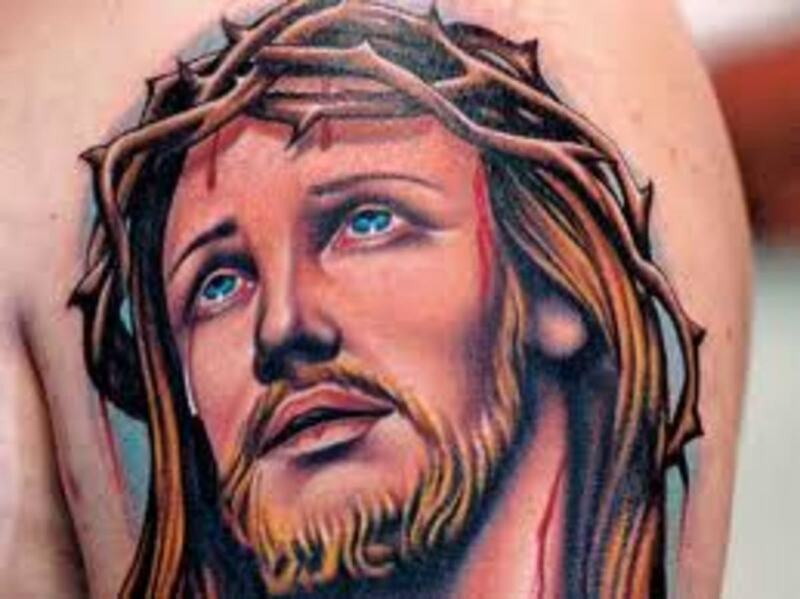 How does one begin to try to understand the meaning of a tattoo including a heart, swallow, rose and banner at the bottom? As the bird is flying from the rose to the heart, it could represent the pursuit of love from his girlfriend, or possibly mutual love flowing from one to another. Interesting tattoo. 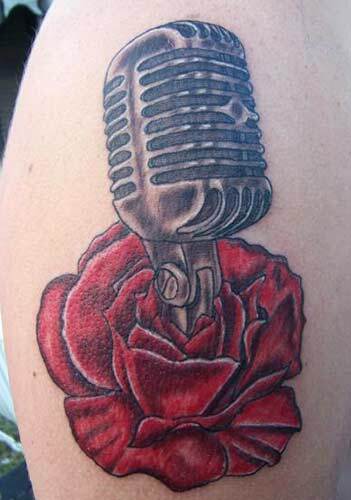 Again we have a tattoo design mystery with a microphone emerging out of a rose. Maybe it refers to romantic pillow talk, or something of that nature. Either way, it's really a nice design, and that microphone is especially a great piece of art. What in the world it means to have what appears to be a hat made of roses placed on a skull is beyond me, but the roses are done very well, as is the skull. My favorite of the design is the playful placing of the rose petals by the left ear of the skull to make it appear to be wearing an earring. At least that's how I see it. 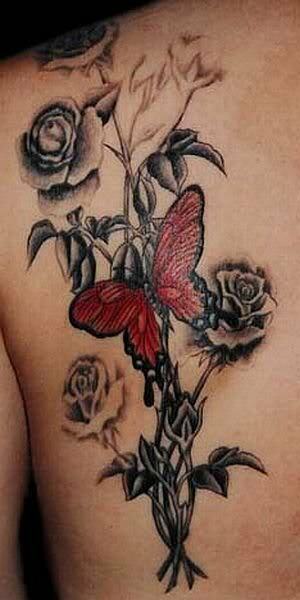 I included the black rose, red butterfly tattoo below because it looks so awesome to me. It's by far my favorite of the rose tattoos shown here. The quality of the black roses and the shadow is extraordinary in my opinion. The red butterfly fluttering towards them is a stunning image. Hopefully you have enjoyed this brief look at unique and unusual rose tattoos. As you see, the rose is an integral part of our culture, and is used in ways that are difficult to fathom, although that doesn't stop those choosing to be inked in this mysterious manner from having it done. It is fun to try to guess what the meaning behind it all is. Maybe you could include your ideas on that below. Ebower: You really like them, don't you? 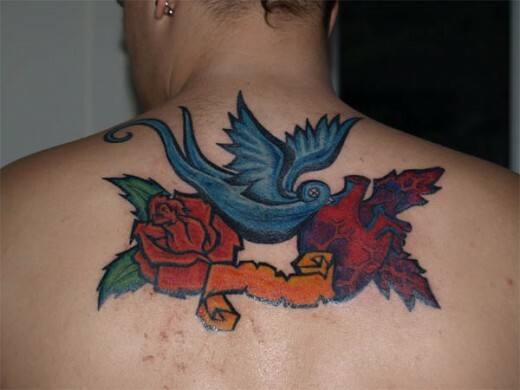 we've generally discussed them before on your hubs, but I guess you're still at the platonic, detached stage of liking them, rather than desiring to be a participant in such rose design body art, right? 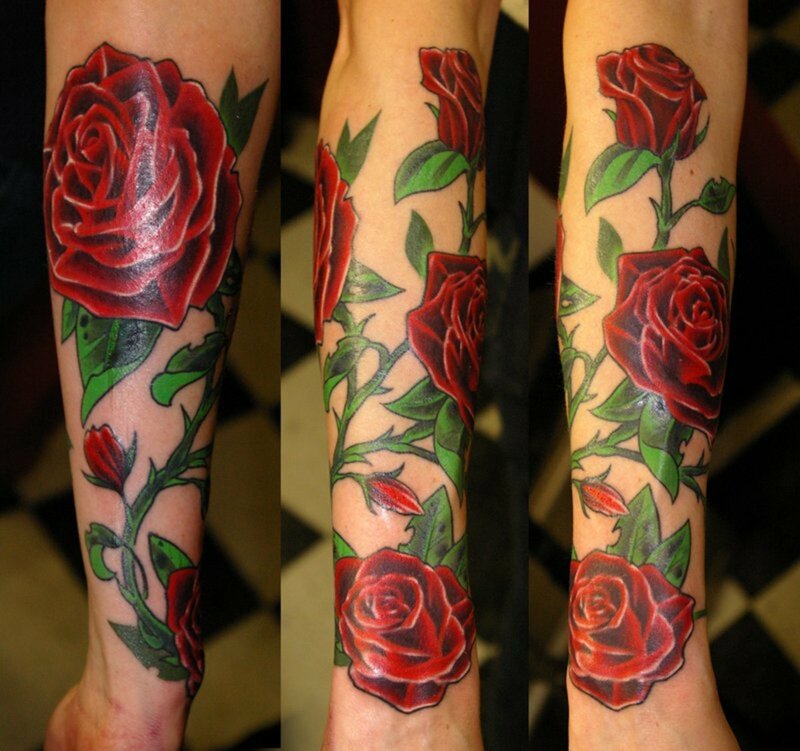 Yes, the basic rose tattoo design in its various forms is a real classic. Voted up. 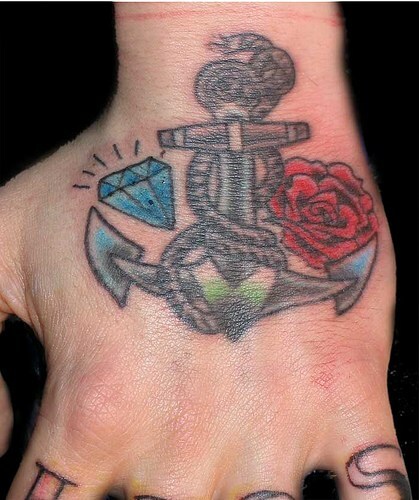 My favorite one is the rose and compass tattoo; it looks vintage. I voted this up and interesting!